There are a number of opportunities to get up close and personal with the wildlife of Bali, particularly in the central Balinese region of Ubud. Here you’ll find plenty of wildlife encounters including an amazing accommodation option that offers the incredible and unique experience of staying literally surrounded by elephants at the Elephant Safari Park & Lodge. Located in Ubud, the Elephant Safari Park is surrounded by the Taro forest and offers the amazing experience of trekking on the back of an elephant through the forest before enjoying lunch beside an elephant bathing lake where you can even give a helping hand if you like! There is also an Elephant Arena where daily talent shows are held to showcase these majestic creature’s strength, grace, intelligence and beauty. 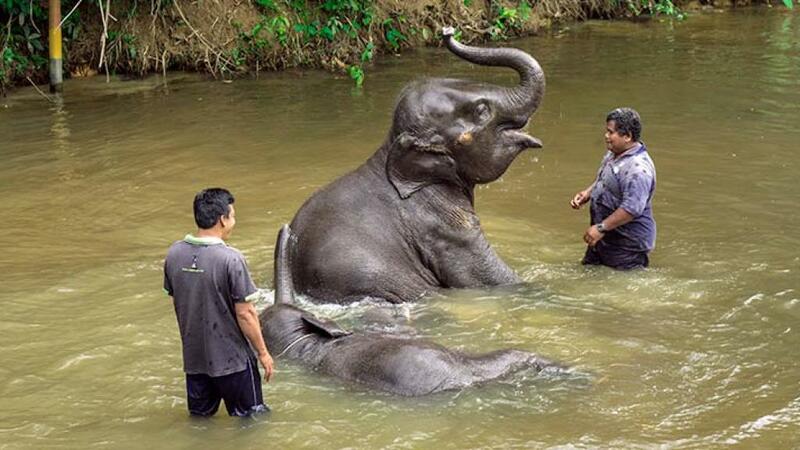 These shows only encourage the elephants to perform natural behaviours and the animals are not forced to do ‘tricks’ or anything they don’t wish to do. Approximately 15 minutes away at the Bali Zoo you can see an exotic range of rare, endangered and indigenous Indonesian animals. There is also the fantastic photo opportunities of their ‘Animal Encounters’ where visitors can enjoy a personal petting and portrait session with an assortment of exotic wildlife including tiger cubs, lion cubs, elephants, pythons, crocodiles, birdlife and even the unique binturongs. 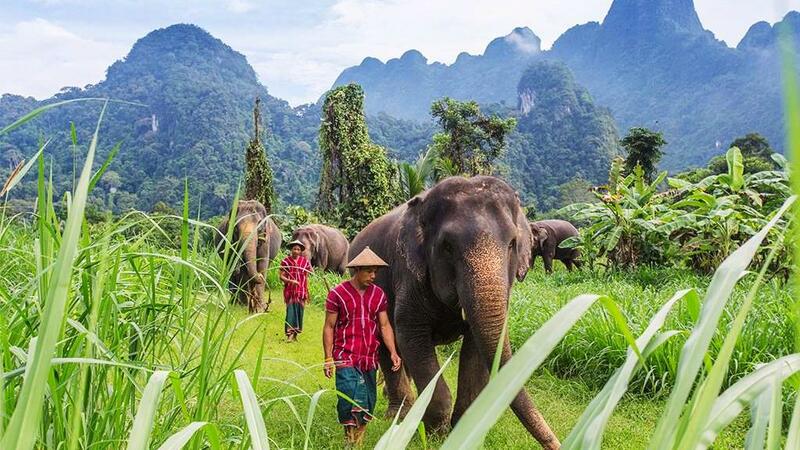 You can also become a Mahout (elephant carer) for the day, dine with wildlife, feed the gibbons, orang-utans, sunbears and even lions and tigers, oh my! However the ‘Night at the Zoo’ is one of the most popular attractions which allows you to hand feed elephants, pet and be photographed with a Borneo bear cat, python and Sumatran Sinyulong freshwater crocodile. You then enjoy a night time trek through the zoo and a dramatic fire dance welcome to an al fresco dinner by the open air lion enclosure, just metres from the king of the jungle and his adorable cubs. About half an hour southwest of Ubud is the Bali Safari & Marine Park, an award-winning amusement park that has a heavy focus on education and conservation. A member of a number of zoological associations, this park is far more animal friendly than many zoos and animal parks throughout the world and it is their prioritisation of the care and wellbeing of their animals that makes this attraction a real highlight. There are a number of animal safaris available including a night safari for a magical way to spot wildlife. You can also get up close and personal with the wildlife thanks to animal encounters. With a marine park onsite as well, there are sure to be creatures great and small to please every member of the family. However if you do choose to base yourself out of Ubud and would prefer the convenience of an animal experience a little closer to home, the Ubud Monkey Forest is sure to be unforgettable. 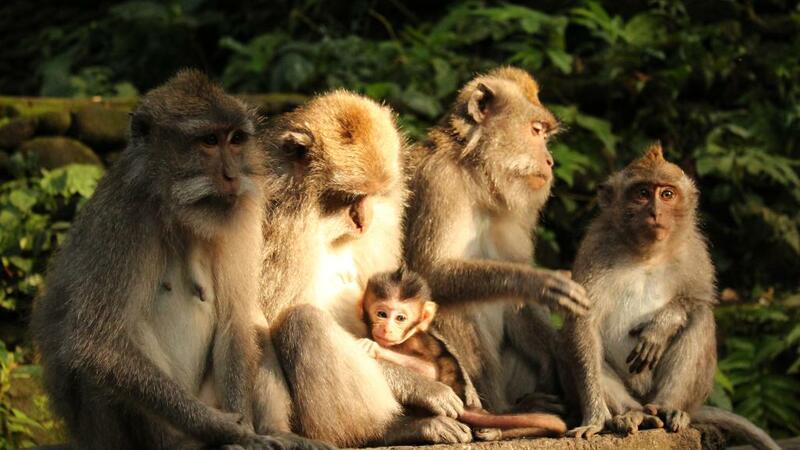 Located in Padangtegal Village, the Sacred Monkey Forest is home to cheeky long-tailed macaques as well as a number of striking temples and even a deer enclosure. A great way to combine an entertaining wildlife experience with the cultural experience of visiting sacred sites and temples, your visit will also help to fund the important conservation of this sacred forest and its monkey inhabitants. All these amazing wildlife experiences can be included on your next Bali holiday, with the peace of mind that the health, safety and wellbeing of the animals is paramount. So come on, take a walk on the wild side in Bali. Do you think animal attractions aid conservation efforts or should they be avoided?